Years ago, Ron Paul began laying the groundwork for a massive Portland development project that may put Oregon’s regional reputation for local food in a world-class setting. 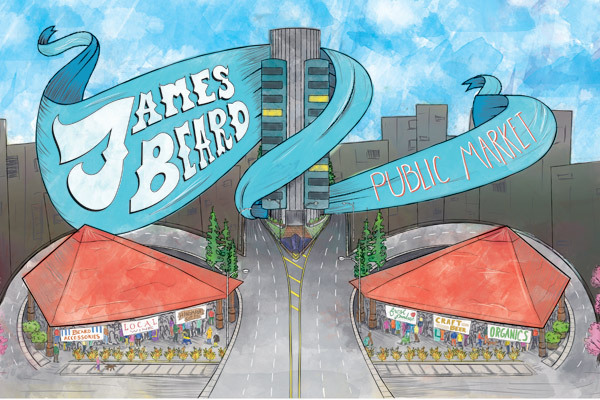 Named for one of Oregon’s most celebrated chefs, the James Beard Public Market (JBPM) is only now clearing its final obstacles to breaking ground near the western landing of the Morrison Bridge. Upon completion, the market is expected to encompass market activities on either side of the Morrison Bridge’s westward exit ramps, have 120 vendor stalls, a teaching kitchen, an event venue, two full-service restaurants, and multiple bakeries and cafes. It will also create 350 jobs in the process. A reasonable comparison for the JBPM might be Vancouver, BC and its Granville Island—a gourmet food retreat that sees 8 to 10 million visitors per year. Few Oregonians would turn up their noses to a Granville Island of their own. 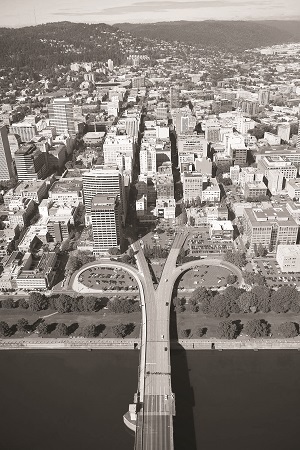 Paul and his public market advocates have kept this image conceptually close at hand, though the Portland incarnation may have an edgier look. In mid-2014, the foundation behind the JBPM signaled a more stylized direction when it retained the famed Norwegian architecture and design firm, Snøhetta, for its design. Snøhetta is known for its daring lines and avant garde projects such as the Norwegian National Opera and Ballet, the National 9/11 Memorial in New York City, the King Abdulaziz Center for World Culture in Saudi Arabia, re-imagining Union Square on the National Mall in Washington, DC and Times Square in New York. In June, the firm is expected to unveil the conceptual design for the JBPM. Though it will be branded for Oregon’s food icon, Beard, it’s the experience, persistence and political savvy of Ron Paul that will have brought this project to market. 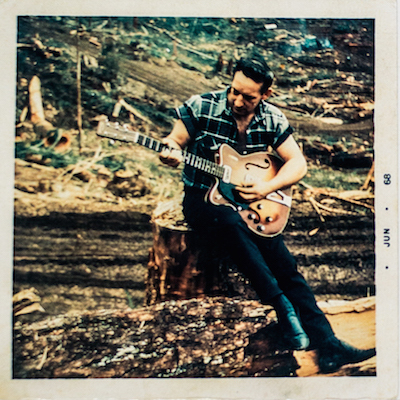 Paul grew up in Tucson, Arizona, with the spices of Mexico all around him. One evening, while at dinner with his parents, the 10-year-old tasted the artistry of a Mexican chef who had trained at Le Cordon Bleu. “Little did I know that food would hijack my life,” said Paul. As a young adult, he began buying one-way tickets across the world on a mission to learn about food, its place in the local culture and how to cook it. “I had to figure out what to do once I got there,” he said. But he knew he would invariably head for the public markets. There were tables of richly-hued peppers inside of Mexico’s La Merced, the pale white camembert and comté at the Marche de Grenelle in Paris, purple mounds of figs in Barcelona, pyramids of curry and turmeric in Delhi, and fishmongers’ flats strewn with yellowed bovoleti and razor clams of the Mercati di Rialto in Venice. All of these became impressionist dots in a bigger painting for Paul. “There’s a term, ‘market rat.’ I think I qualify,” Paul, 65, said with a soft chuckle. It’s likely the embodiment of that moniker that led the former chef on his decade-and-a-half odyssey to bring a world-class public market to Oregon. 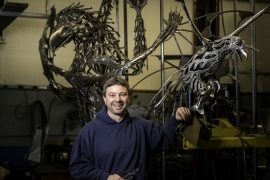 Looking back, Paul has spent a life in training for the challenge of galvanizing a state to support a year-round indoor-outdoor public market in downtown Portland. In the late ’70s, he began working in restaurants and learning to cook in Portland before he opened Ron Paul Charcuterie in 1983 at 23rd Avenue and NW Quimby Street. “There I was, a nice Jewish boy opening the first charcuterie store in Portland,” he laughed. Making food was an untapped form of art for Paul, a passion that came to him later, during his career as a chef. “There’s something that’s still exhilarating to walk into a commercial kitchen and have a blank slate to create … there’s that place where it all comes together,” he said. Well dressed and neatly coiffed, Paul reflects a tidiness of optimism governed by a pragmatism honed during his crossover into politics. After pursuing the analogy of “food is art,” Paul put his name in for the open position as regional director of the arts and culture council. Even with a recommendation from Hales, Paul knew it was a stretch. After a lunch with Hales in 1999, however, Paul instead was hired to be Hales’ chief of staff. “I went from retail to retail politics, from chef to chief of staff,” Paul quipped. 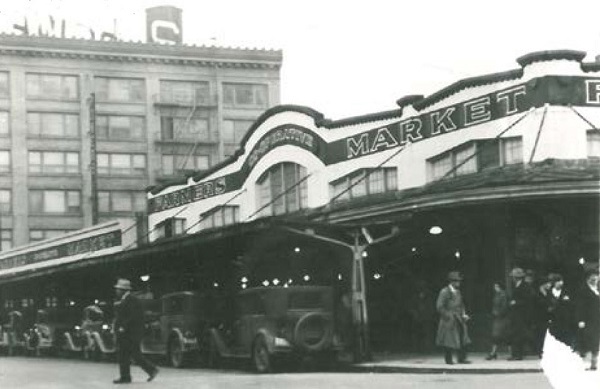 The idea of a public market had been floating around Portland ever since its last public market closed in 1942. 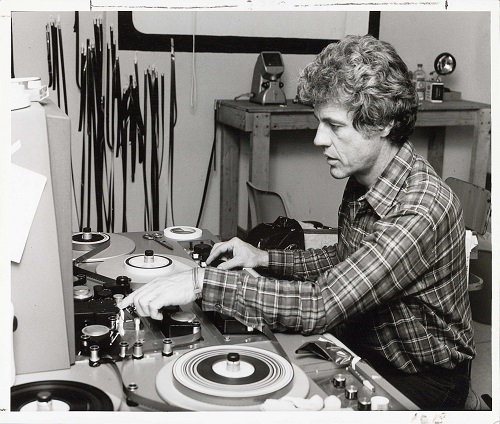 It wasn’t until 1999 that Paul put notion into motion. Throughout the market’s planning phase in the early 2000s, Paul leveraged his political connections to keep the fledgling idea alive. He leaned on Hales’ support to use Portland City Hall for a public forum. 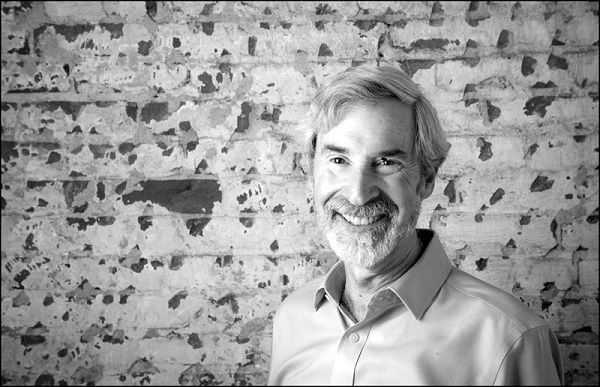 As momentum grew for the project, Paul and his team formed a nonprofit around it called The Historic Portland Pubic Market Foundation in 2005 and named a board of directors. Until recently, Hard said, it was a constant struggle to keep the project financially afloat. She recalled a harrowing moment when the market was facing unprecedented costs for pre-development work on the Morrison Bridge landing site. Paul reached out to Jennifer Williamson, an Oregon state representative whose district is home to the market’s site. Rep. Williamson’s efforts resulted in a crucial $250,000 appropriation. If the market is to be financially viable over the long term, its funding mechanism needs to be sustainable. The development is being funded by a combination of federal, state and city sources, as well as private donations. The ongoing operations of the market, however, are expected to be funded by market revenues, foundations, corporations and private contributions. Paul also envisions an additional shareholder structure similar to that of the Green Bay Packers, the only community-owned franchise in the NFL. Throughout the planning of the market, Paul has been clear to emphasize the benefits for the whole state and not just Portland. Is it a Portland pork project? Are farmers farther afield left out? Will it become an outdoor delicatessen for the rich—fromage, fresh-cut flowers, lobster and fair trade coffee for the soul? The JBPM lays out an educational agenda with free classes on nutrition and healthy cooking. Board member Hard has spent her career in the food chain and advocating for social equality and public health. “Among my goals for our public market is to make it accessible to low-income shoppers and to provide nutrition education classes,” said Hard. 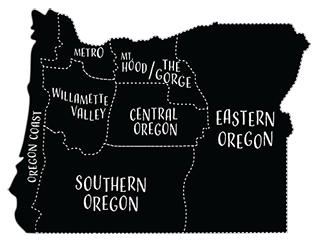 In addition to raising Oregon’s international profile as a food mecca, the public market will economically benefit the state, according to ECONorthwest, a market research group. ECONorthwest estimated an increase of at least $22 million in annual sales of local food at the market with one million visits per year in the first few years. It is difficult to overstate the legacy James Beard left behind in American gastronomy. In 1945, The New York Times dubbed Beard the “Dean of American Cookery.” The famed chef, food writer and television personality was the leader of the American foodie revolution decades before the term “foodie” was a part of our vernacular. His name is synonymous with American cuisine, but often he is associated more with New York than Oregon. He lived in Greenwich Village since 1937, and shared a house with his New York cooking school. There he wrote more than twenty cookbooks and became immersed in the infancy of America’s culinary community. It was in Oregon that Beard spent summers fishing and gathering berries, helping his mom make meals with whatever they caught. It was in Oregon that Beard realized his future in cooking. James Andrew Beard was born in Portland in 1903. His English mother ran a boarding house but was passionate about cooking. His father worked in the Portland Customs House. Their summers were spent at the beach in Gearhart, making the most of Oregon’s bounty. When Beard was a mere 2 years old, he went to the 1905 Lewis and Clark Exposition, where he was enraptured by Triscuits and shredded wheat biscuits being made. Beard wanted to become an actor, so he traveled with a theatrical troupe, lived abroad studying voice and theater, and returned to the United States to break into the industry. When acting proved to be a dead end, he moved to New York and opened Hors d’Oeuvre, Inc., in 1937, envisioning a future in food. The career he built—writing major cookbooks on new culinary genres, appearing in television’s first cooking show in 1946, opening the James Beard Cooking School in 1955; influencing the careers of Julia Child, Paula Peck, Marcella Hazan and Craig Claiborne (to name a few)—was based on culinary creativity using fresh, wholesome ingredients, something he learned an appreciation for growing up in Oregon. Beard passed away in 1985, but his legacy lives on through the booming American gastronomy scene and eventually, the James Beard Public Market. What a tremendous loss. Ron was an advocate, a builder, possessor of a great sense of humor and of style. Kudos to all for this fabulous, informative article about the James Beard Public Market and Ron Paul's dream for creating it in Portland. I have known Ron for most of his life and have been in awe of his skill and knowledge, and his creativity with food. His foresight and passion about the creation of the Market lasted through years of impossible amounts of work that are unknown to most people. We can't wait til we can see and taste the fruit of his labors. Portland is such a beautiful and wonderful city to visit and the Market will be be yet another fabulous resource for natives and visitors.